Was granny naughty at school? 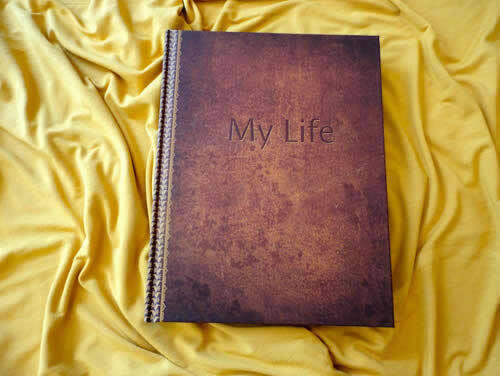 Guaranteed to create a beautiful book of your life. 2. Not time consuming - unless you want it to be. 3. 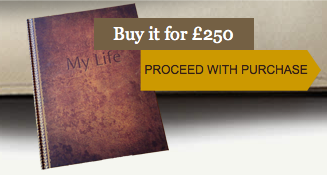 Guaranteed to create a beautiful book of your life story for your family. Don't be one of the millions who regret it later. autodotbiography® makes a fantastic gift for your nearest and dearest. 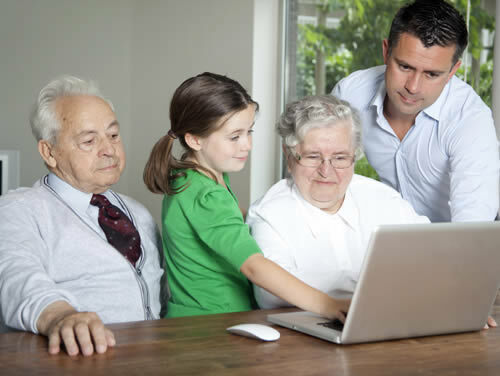 A recent survey revealed that one of the biggest regrets for millions of people in Britain was not asking more about their parents' and grandparents' lives. YOU don't have to be one of them. Everyone has a brilliant story for their family. Just think how different the world is today from the way it was when you were a child. When I was a child the police box at the end of the road was how the Bobby on the beat got in touch with the police station, now children just think it's the Tardis and associate it with Dr Who; when I was a child we couldn't afford a telephone and when we did eventually get one, we had a shared line with next door! So, just describing your home circumstances and what life was like when you were growing up will be a revelation to your grandchildren. That's OK. We want to help you and so even in evenings and at weekends, if you need urgent help we will be there. We understand how maddening it is to be all geared up to write and then something goes wrong. We can't help with your computer problems but anything to do with the system we can sort out. Because Bryher was a consumer journalist most of her working life, and exposed companies who didn't look afer their clients, she is passionate about customer care - you come first. autodotbiography has been designed to be as simple as possible and if you can manage an email then you can use this program. Alternatively, wouldn't it be lovely if you were able to spend time with your children and grandchildren building your book? At the end of it you would have shared the experience and have a beautiful book to show for your effort. No problem - one of the unique things about autodotbiography is that, as professional writers, we have created a program that provides you with a virtual personal ghostwriter. Hundreds of thousands of words have been written for you to choose from. You can use them as they are, or edit them to suit you, or write entirely in your own words. Whichever route you choose you will end up with a beautifully written, lavishly illustrated book of your life story for your family. It's flexible - you can do it your own way. If you are a good writer - you can use the template to create a beautifully designed book to record your memories with all the images you wish to illustrate your book. You can use the prompts to take you through the system, or you can ignore them completely and write everything in your own words. There are no restrictions on the number of pages and there is space for hundreds of photographs and documents, if you want to include them. This is how it works. 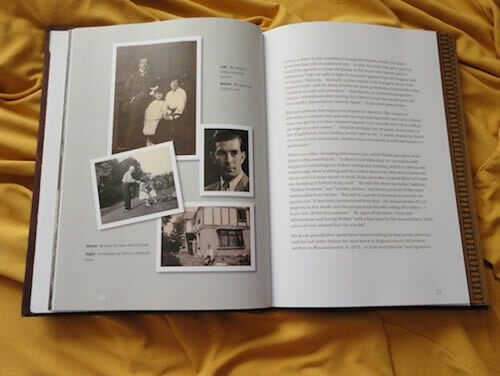 If you are not a good writer, or are daunted by the idea of writing your life story, then autodotbiography gently holds your hand through the process and makes it incredibly easy to create a beautifully written, lavishly illustrated hardback book of your life. Your family will be astonished at the quality of the book you will create with our help. This is how it works. Help when you need it. If at any point you need help and advice all you need to do is email (help@autodotbiography.com) or ring the office (020 8653 5933) and we will assist you. We say to contact us in normal office hours, but to be honest, nine times out of ten, if you need help in the evening or weekend, we will be on hand to advise you because we know how maddening it is to be stopped just when you were in full flow. "I am too busy, I just don't have the time." 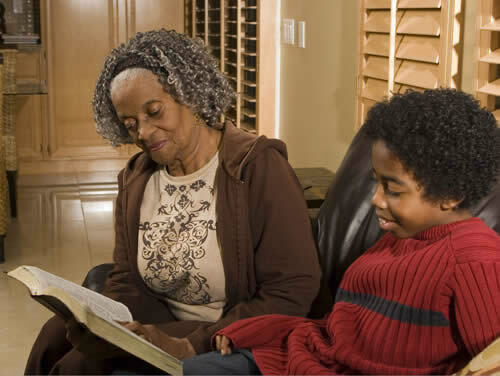 What better use of your time than to celebrate and share your life story with your family? Do it at your convenience. at your own pace. It doesn't matter if you take holidays, spend time with the family, or find that you have to drop it for work. Everything you have written will be waiting for you when you return. "It's too complicated, I don't know where to start." 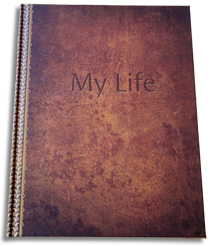 autodotbiography's unique design takes the hard work out of writing your life story and makes it easy, even if you are not a good writer. You can choose from pre-written hundreds of thousands of words, or write it entirely in your own words. There is help and advice all the way through; questions and suggestions to spark memories and we are at the end of the phone, (020 8653 5933) or online, (help@autodotbiography.com) if you get stuck. Some people take just days to complete their life story and some people take months. It all depends on how much you want to include. But the program holds your hand through the process. If you want to see a video on how it works have a look at this. 98 per cent of people who buy an autodotbiography® are so delighted with the results that they buy additional copies to give to their family. Liz Robertson describes how pleased her family were with her father's book here.